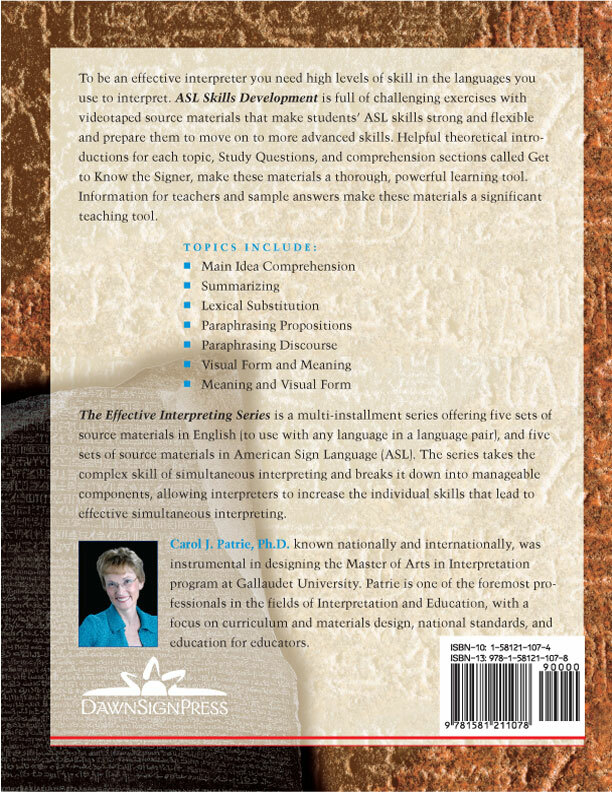 To be an effective interpreter you need high levels of skill in the languages you use to interpret. 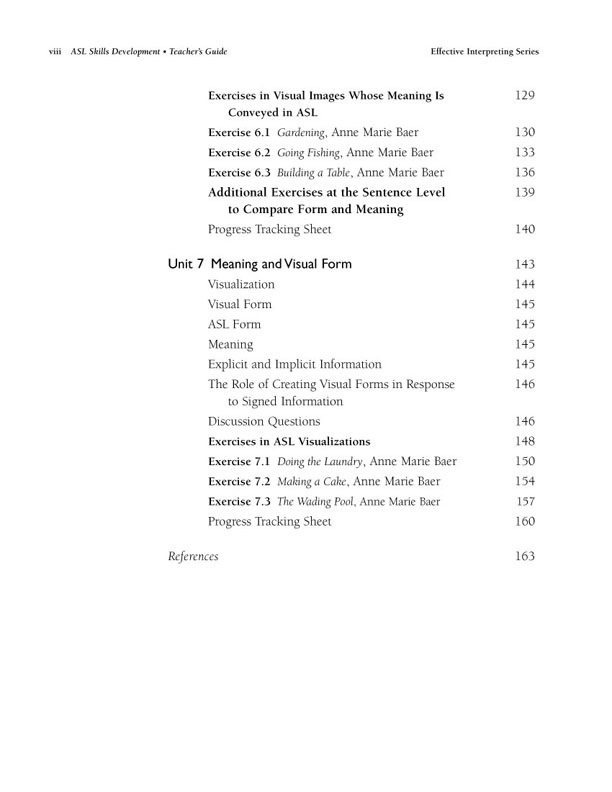 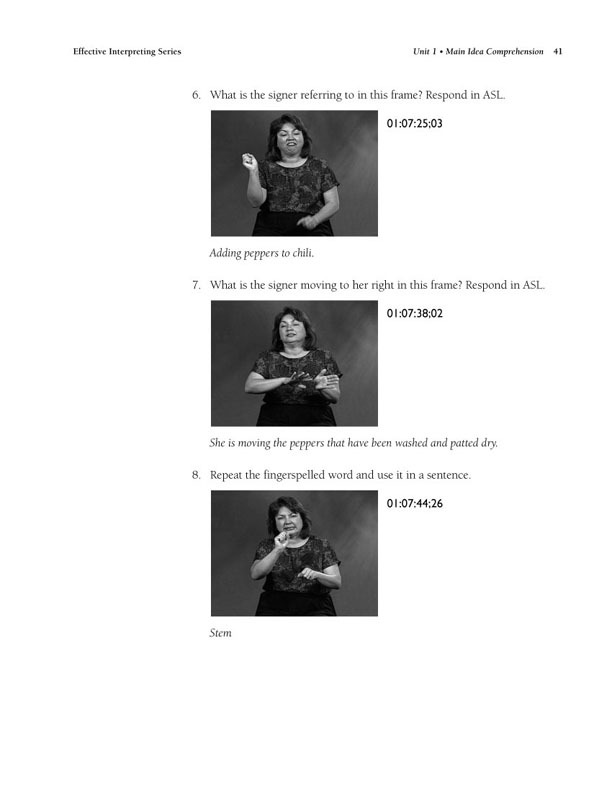 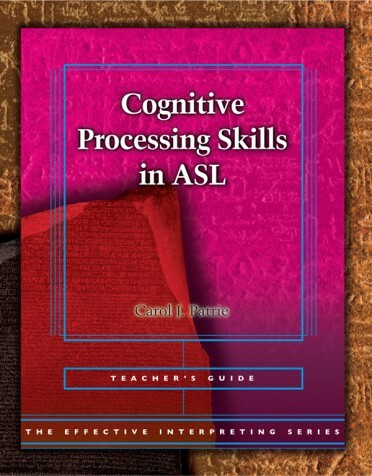 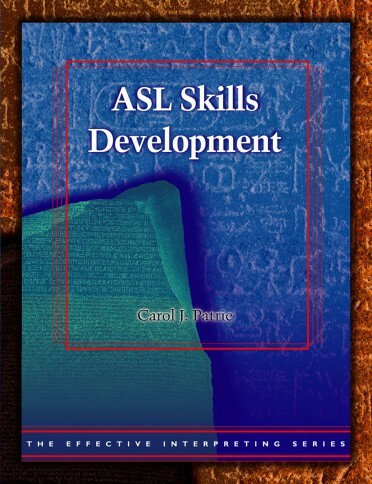 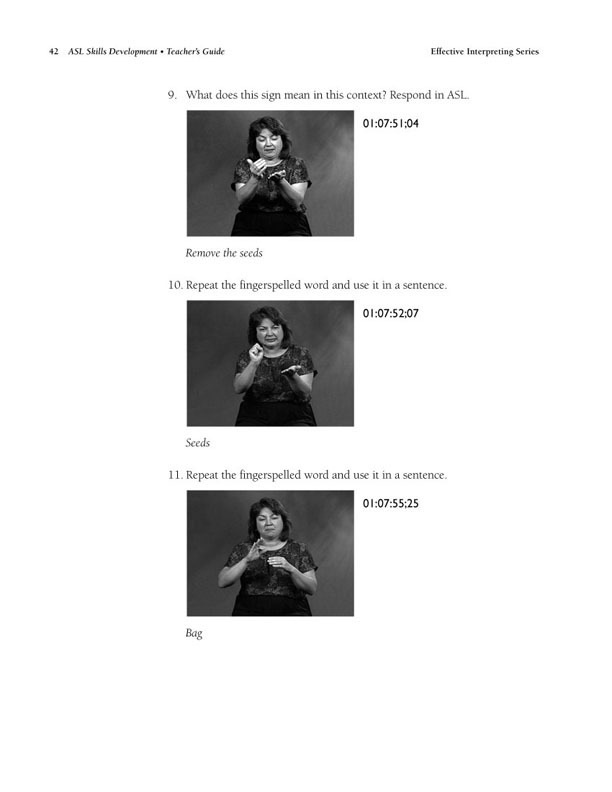 ASL Skills Development is full of challenging exercises with videotaped source materials that make your ASL Skills strong and flexible and prepares you to move on to more advanced skills. 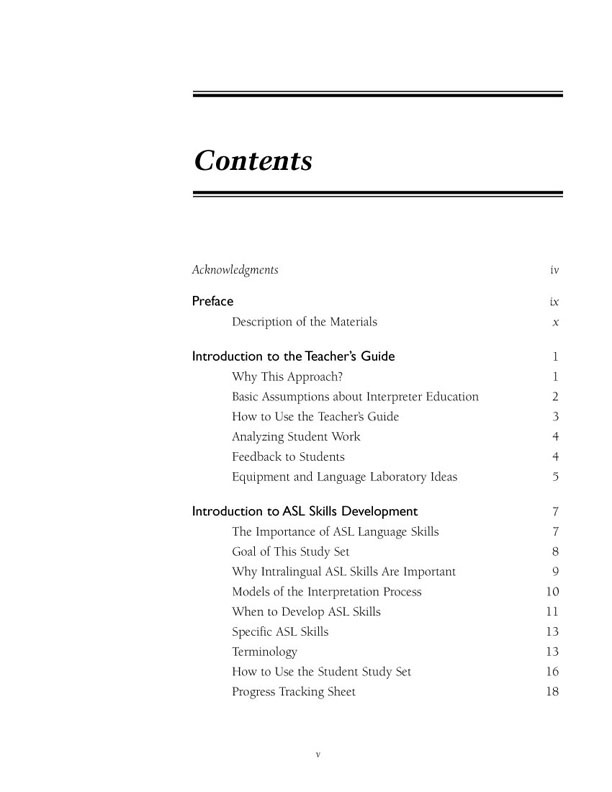 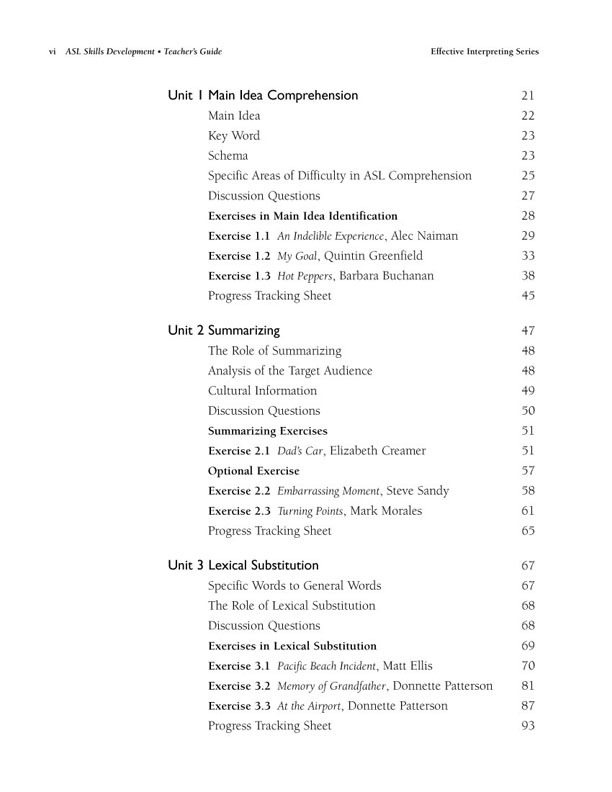 Helpful theoretical introductions for each topic, Study Questions, and comprehension sections called "Get to Know the Signer," make these materials a thorough, powerful learning tool. 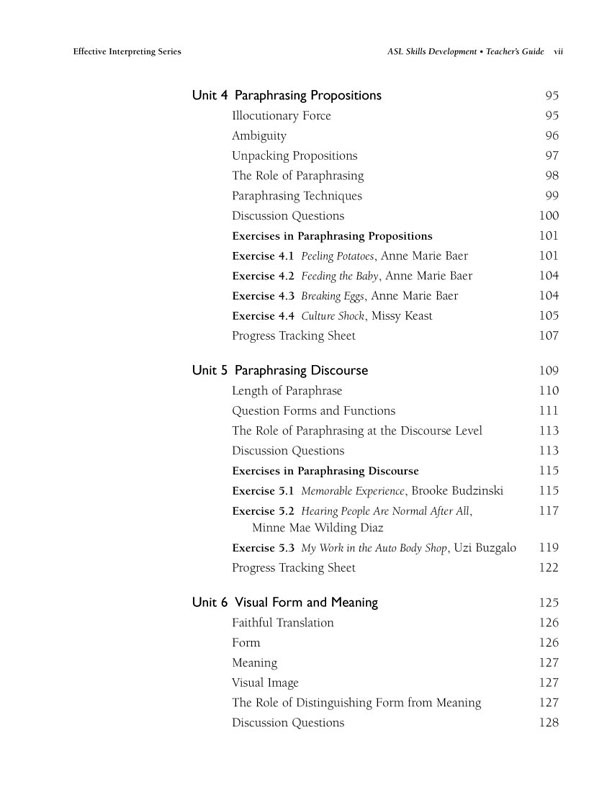 • Meaning and Visual Form ? 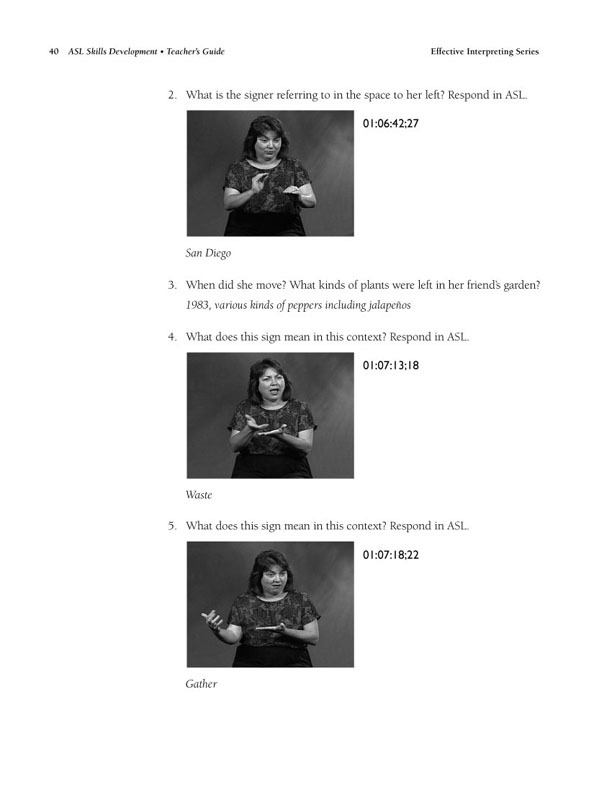 ASL Skills are deepened and made more flexible when you can easily identify the main idea, summarize, paraphrase, and substitute words or signs with little effort. 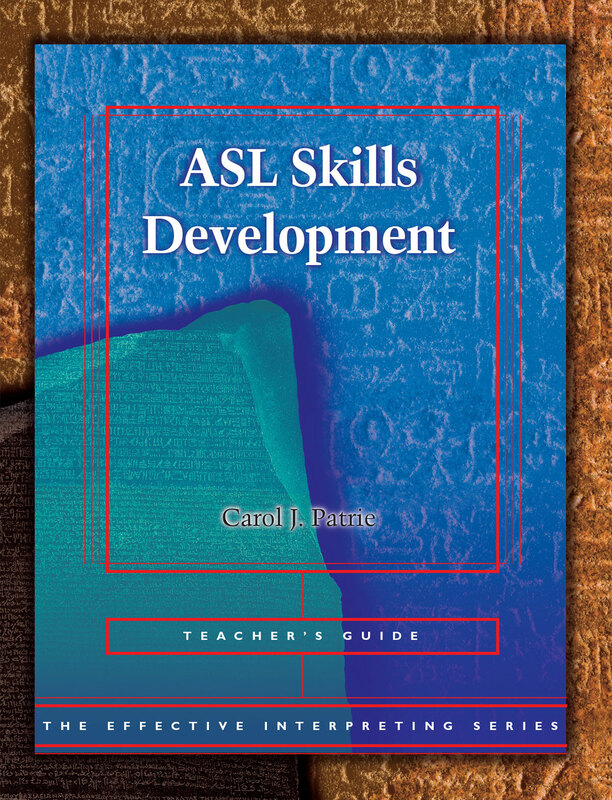 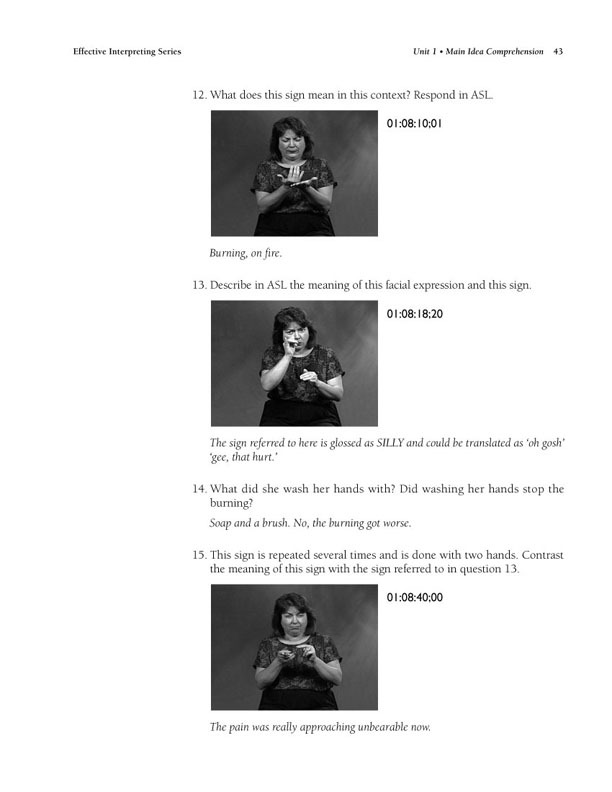 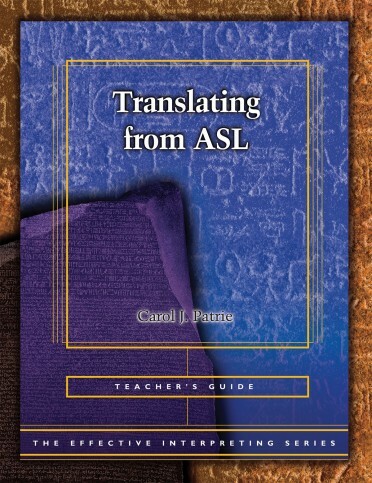 With no language transfer pressure, and no time pressure; ASL Skills improve in a way designed for interpreters. 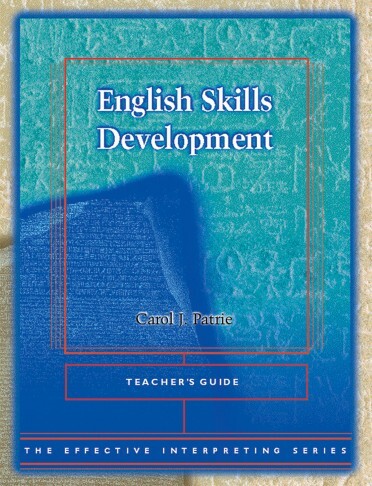 • Created for use in the classroom or for independent study? 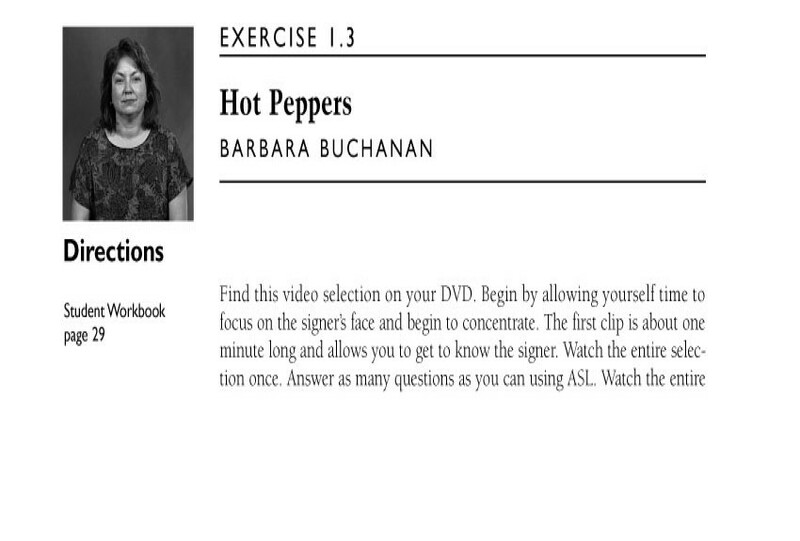 Use this innovative step-by-step approach in the classroom to improve students' ASL skills and turn out more effective, confident interpreters.